Many people in Britain are suffering from an addiction to heroin – and the outlook is currently that it might become worse in the coming years. The United Kingdom is suffering from an opioid epidemic, with heroin and other opioids causing more than a thousand deaths each year. 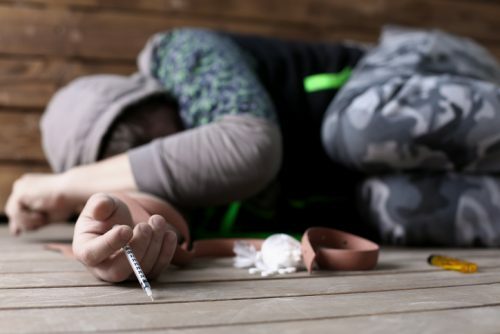 Heroin is one of the strongest yet most used drugs worldwide – with it being very easily to get and having a strong effect, there is a reason for it being a popular drug. However, if you are a current heroin user, you know that it is extremely hard to stop using it – not because of the drug being addicting itself, but the dreaded withdrawal symptoms that come with quitting heroin. At Cassiobury Court – we can help you through that difficult period of withdrawing. That is why we offer professional Heroin Detox services at our rehab clinic in Watford. Give us a call today – and we will be able to help you get clean and live the rest of your life to the fullest. Heroin has a well-documented history – and how it works in combination with your body. It started off as a medication , but soon enough people had found out about the recreational potential of heroin abuse. Heroin is a drug that falls under the opioid family. A class of drugs that includes a lot of prescription drugs such as Fentanyl and Morphine. These are very strong painkillers given out to patients as painkillers. Heroin is also known as diamorphine – which is essentially morphine but twice the concentration of the working chemical in the drug. Opioids are given out as painkillers as they are particularly effective in suppressing your body’s pain receptors. However, opioids also have a way with connecting with your brain receptors. Heroin users often consider the experience of heroin use very pleasurable. Counteracting the unpleasant feeling of pain and hurt will involve the opposite feeling – pleasure. This feeling of pleasure is generated by the release of endorphins and dopamine in your brain – the two substances often found in drugs that allow you to feel euphoric and relaxed. 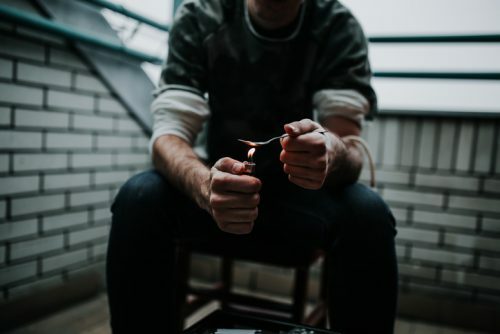 All of these effects of heroin use do not only allow the body to get used to the pleasure override, but it also re-wires your brain completely, which will then lead to your body becoming addicted – faster then normal if you are already a person with an addictive personality. Addiction essentially hijacks your brain. Your way of thinking is often clouded since you cannot feel at ease without the use of heroin. Therefore, medical treatment should be sought before it is too late. Long term heroin abuse also has an effect on your body that could lead to very poor health and premature death. An example being self-neglect that is very common with regular heroin addicts. Dehydration and nutritional deficiencies could lead to health problems that will be irreversible in the long term. In the short term – heroin can kill too. Many people who take heroin will see an increase in tolerance. The tolerance will also lower once you have not taken it for a short period of time. As heroin has a strong effect on the human respiratory system, heroin can sometimes stop your body from breathing while you are asleep. The basic function that allows your body to breathe while being asleep can be completely overridden during a heroin overdose. Are you currently afraid of overdosing and dying from heroin abuse? Our Heroin Detox program can be the solution for you. Heroin detox is often considered to be very difficult – as it will be mentally and physically demanding for many addicts. This is why it is important you do heroin detox at an actual professional centre such as Cassiobury Court – we have the support network that can help you get through the difficult period of detox and withdrawal symptoms much easier. Detox can take some time. For many people, the first ten days are often the days that detox takes. At this time, you often will come into our centre and you will not be able to take any heroin. After a few hours for most addicts, the first withdrawal symptoms show up. Depending on the severity of the heroin addiction of the patient, the withdrawal symptoms can vary from mild, moderate to severe. Mild symptoms consist of nausea, abdominal cramps or muscle and bone aches. The more moderate symptoms are vomiting, diarrhoea and fatigue. For those that have been using Heroin for a prolonged period of time, serious withdrawal symptoms like tremors, anxiety, hypertension and a rapid heart rate are a possibility. This is why we believe that it is vital that you have an experienced medical team on-hand to take you through the heroin withdrawal process, allowing you to be less worried about the effects of withdrawal. From our experience, we know that the detox process is something which will worry those who are struggling with prolonged substance abuse – so we’ve answered a number of the most common questions surrounding heroin detoxification. What Will Happen After Heroin Detox? Once heroin withdrawal symptoms start to decline, counselling and therapy sessions will begin. These sessions will explore the reasoning behind the addictive behaviour and to help identify the triggers that cause or set off the addiction. We can also offer family-based therapy sessions where friends and family can attend the clinic to help with your recovery. How Much Does Heroin Detox Cost? At Cassiobury Court, we offer a package that allows you to complete your heroin rehab programme within 28 days – against a very good price. The prices are not fixed at the moment, it is all dependant on your needs and wants – however our packages are designed to be affordable. However, we can tell you that the investment is well worth your money. We can help you build your life up again – and help you attain a healthy and happy future. What Are The Common Heroin Withdrawal Symptoms? As with any highly addictive drug, heroin withdrawal can have some common side-effects. Is Relapse After Detoxification Common? Typically relapse after heroin detoxification can be quite common when the addict doesn't go through a full treatment. However, if you are serious about quitting heroin - the combination of addiction treatment, aftercare services and the understanding of your friends and family will make you more likely to pursue a happy and drug-free life. At Cassiobury Court, the majority of our clients will enjoy a heroin free life after they pass through our doors. Is It Possible To Avoid Heroin Withdrawal? Typically this is not possible. If your body is dependant on heroin, then you will almost certainly go through heroin withdrawal when you stop taking the drug.